A few nights ago I was going to make brussel sprouts with apples and bacon as a side dish for some delicious ribs. My plans were almost foiled when I realized that my brussel sprouts had gone bad. I really don’t know how it happened: they were frozen in a bag for a week or two…and when I defrosted them, they had started to rot! Of course, I noticed their rottenness after I had started cooking…so I had to quickly find a brussel sprout substitute. 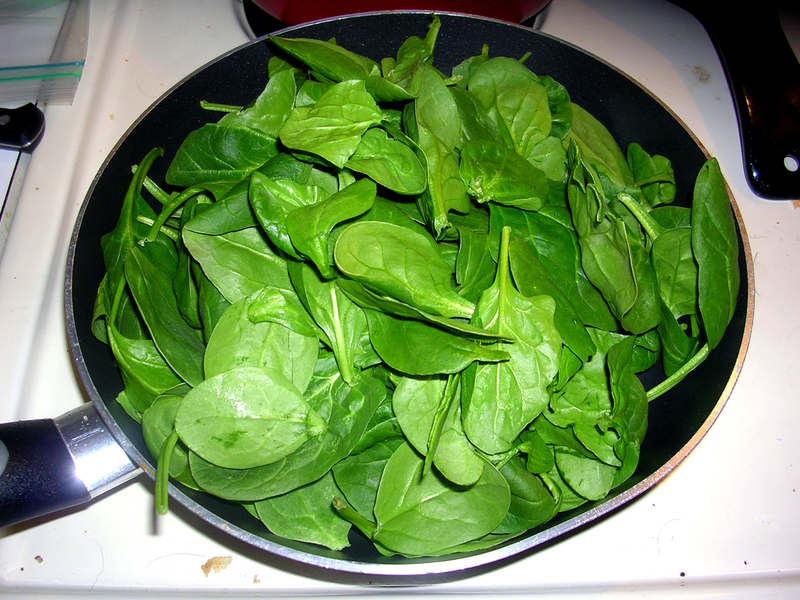 Lucky for me, there was some spinach in the fridge! All green vegetables are equal, no? 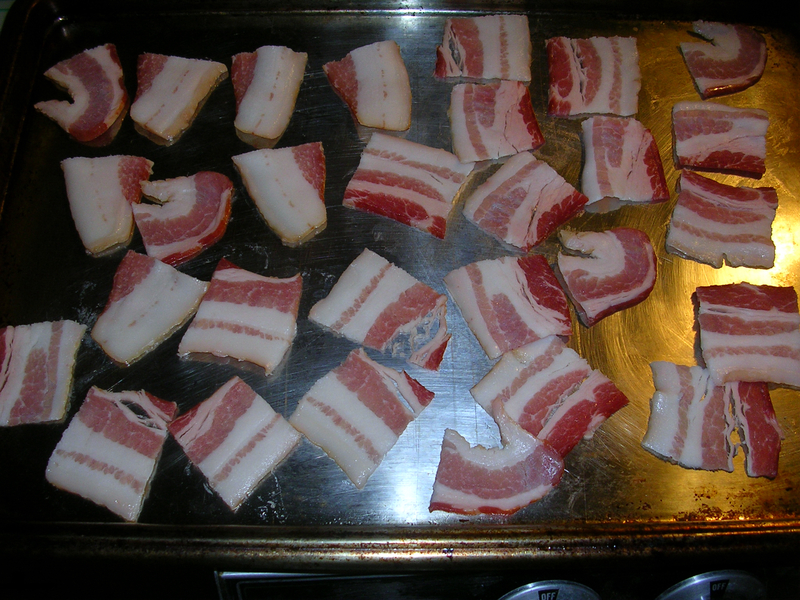 Begin by cutting your bacon into 1 inch strips. Place the bacon on a rimmed baking sheet in one layer and bake for 20 minutes at 425. 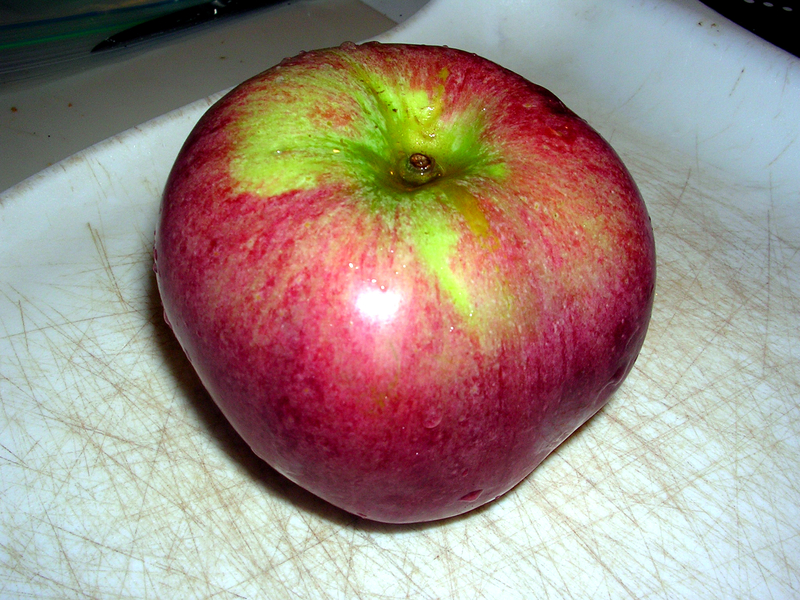 While your bacon is bakin’, core and slice your apple into 1/4 inch slices, and then slice those slices in half. 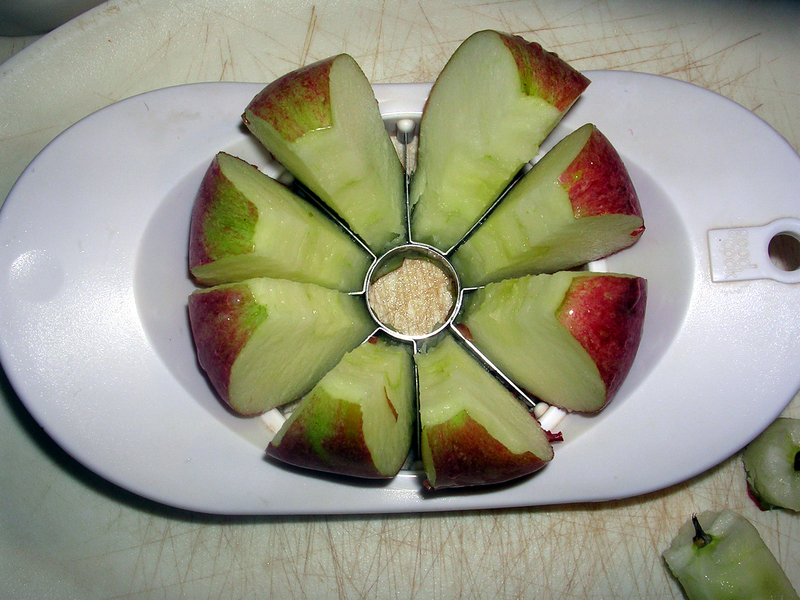 My apple corer is the second most useful piece of kitchen equipment that I own. My potato peeler being the first. Once the bacon has been in the oven for 20 minutes, remove the pan and pour off some of the excess grease. 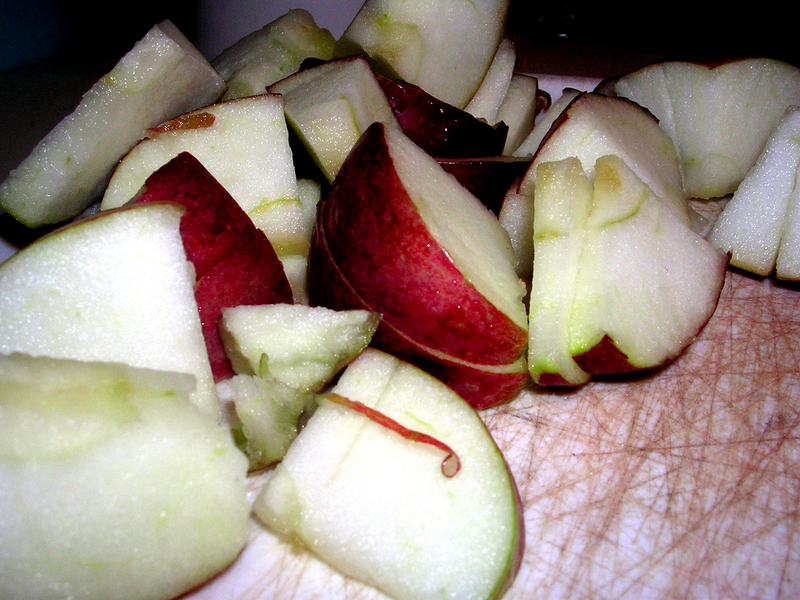 Add the apples in a single layer and bake for another 10 to 15 minutes, or until the apples are soft. 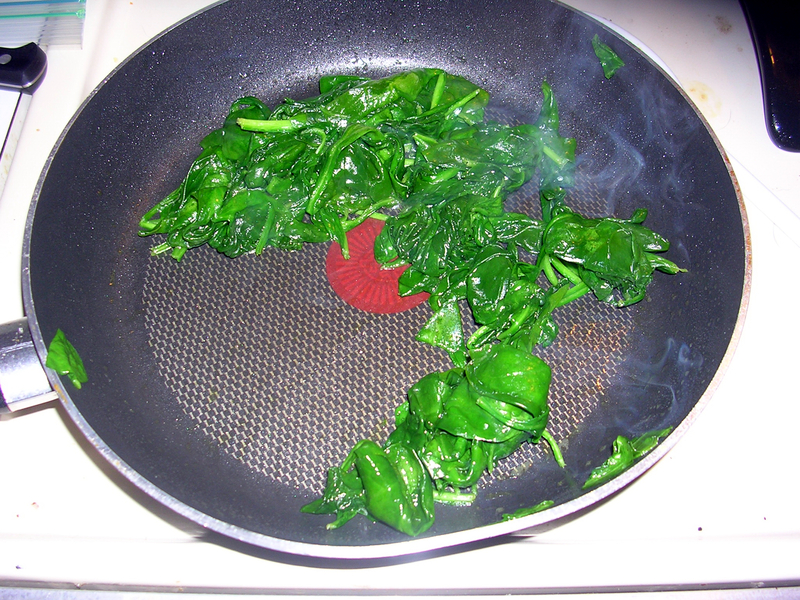 In the meantime, saute the spinach in a little bit of bacon grease (or olive oil, if you prefer). 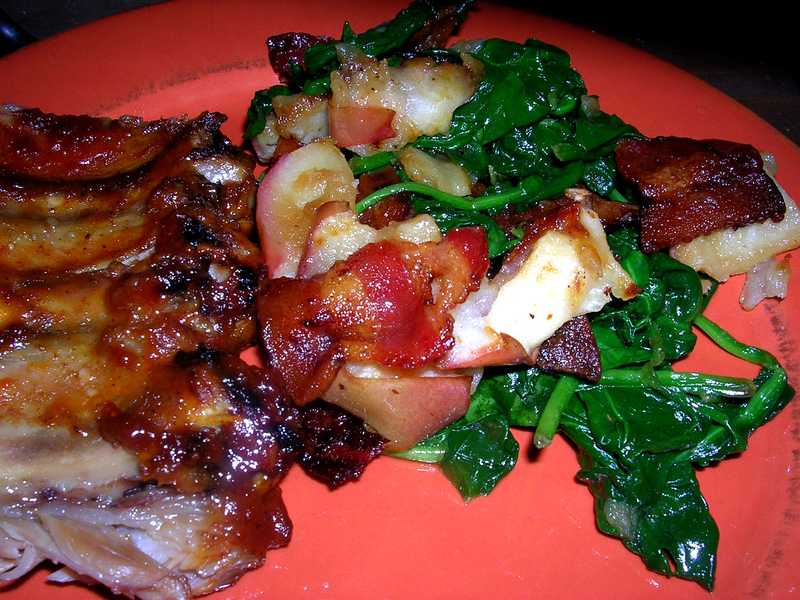 Remove your apples and bacon from the oven and mix with the spinach. 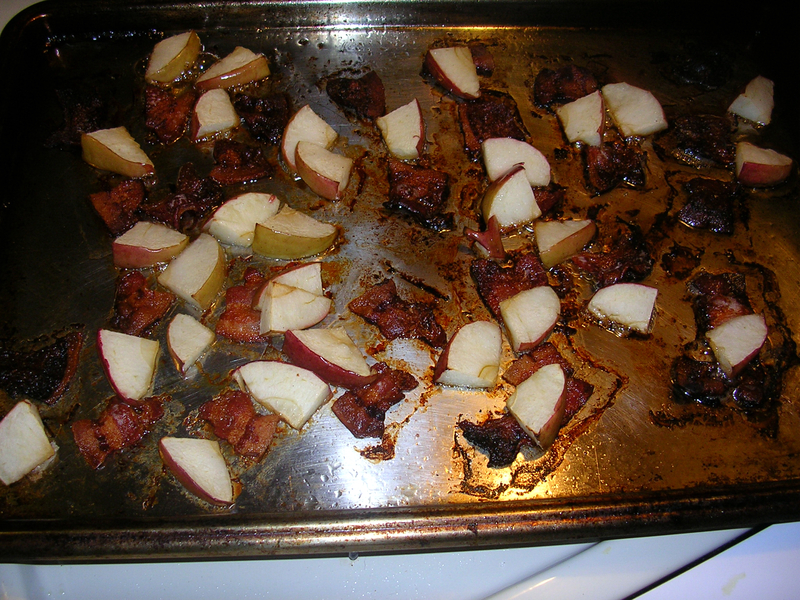 I have a weakness for anything made with bacon and apples, so I thought this side dish was spectacular! Cooked spinach is usually not my favorite, but the apples and the bacon added such wonderful flavors that I actually enjoyed eating my greens! I love bacon! This looks like a must try.